Our lives and work are filled with so much to do and so little time, making for complications and challenges. So we have to solve this problem. Kitchen Handling is a time-consuming work. The kitchen appliances like Blender makes it easier for us. The Nutri Ninja Pro BL456 Blender is one of them. Here I am describing the nutri ninja pro BL456 blender review for you so that before buying you can get all the information about the product. What is included with Nutri Ninja Pro Bl456 Blender? There are 24-oz. and 18-oz. to-go jars, 2 Sip & Seal lids in it. It also contains a 30-page recipe and wellness inspiration guide. Extractor blades are available there. Nutri Ninja Pro BL456 is a Single Serve Blender. It also included an Owner’s manual. The 24oz and 18oz cups are used for drinking, so we can blend our smoothies and juice immediately and drink out of them without having to transfer them to another cup or glass. Like most single-speed blenders, the Nutri Ninja Pro BL456 Blender has only one speed to blend, mix, and process. It will take different amounts of time depending on what we’ve got, but at least we won’t have headaches over which settings to press. Nutri Ninja’s full-sized blenders usually have a multitude of options to choose from. The Maximum Capacity is 24 FL oz. A number of Speed Settings are only 1. It is BPA Free, Dishwasher Safe and Ice Crushing. Total Power Consumption is 900 W and voltage 120 volts. There are two different Color, Black and Silver. Total Weight is approximately 8.82 lb. Height is 8″, width is 5.5″ and depth: 5.5″. All of Ninja products are unexpectedly expensive. They make up for it in versatility work and power. This Nutri Ninja Pro BL456 blender isn’t designed to match up to its full-sized cousins, but it does its job very well. There are different single-speed blenders are available in the market, but the Nutri Ninja Pro BL456 takes the top for the best among them. This is principally due to 900 watts of power it generates to mix, blend, and process all of the work. Many customers have said that the best way to preserve the life of this appliance is to routinely clean it. 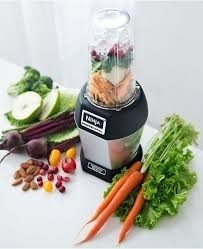 Here dried foods and liquids and cause injury to the blades and inner workings of the blender. On the other hand, Ninja as a brand rarely disappoints both in the power and versatility of their products. We’ll be putting in a bit more of an investment with this blender but for all the perks it comes with, it’s definitely worth it. How to use this appliance? The Nutri Ninja Pro BL456 Blender is very easy to use and operate. If we’ve used the Nutri-bullet blender before, then the use of this appliance is almost same to same. The preparation and use are also almost the same. The only main difference is how you operate or guide it. In the Nutri-bullet blender, we insert, twist and hold to start the cycle of grinding, extraction, pulverizing, etc. But in the Nutri Ninja Pro BL456, we have to insert, twist, push then hold. Another magic is the Nutri Ninja Pro BL456 product reduce overheating the motor because once we remove our hands when blending, the cycle stops. 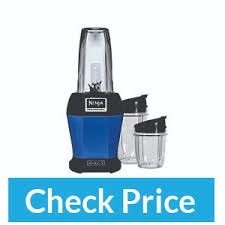 Smoothie: Nutri Ninja Pro BL456 Blender is our special device for smoothie making. It is not too big or not too small, but just right to satisfy our smoothie desire. However, the Nutri Ninja Pro BL456 Blender is one of the best blenders for smoothies. Ice crushing, frozen desserts: Nutri Ninja Pro BL456 Blender does crush ice for frozen desserts very well. For juicing: Nutri Ninja Pro BL456 Blender will not like another classic style juicer. It does not separate fiber from the liquid, but it makes a creamy drink, juice or smoothie. Milk with nuts: Nutri Ninja Pro BL456 Blender is very suitable for making milk from different kinds of nuts. When food is hot: Nutri Ninja Pro BL456 Blender is not designed for hot food by its user manual. Nut butter: Nutri Ninja Pro BL456 Blender is also not very suitable for making butter. 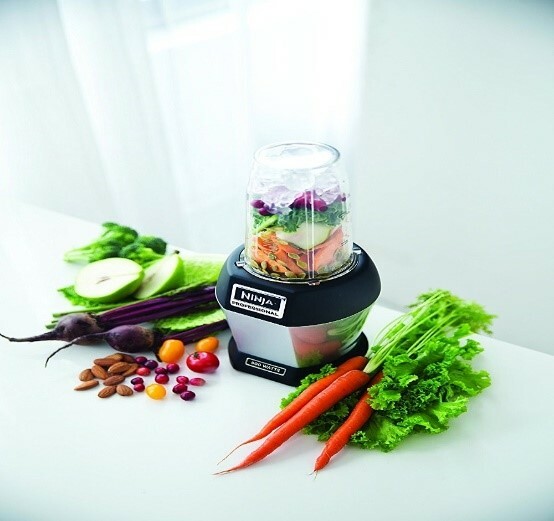 Pureeing, chopping and mixing: Nutri Ninja Pro BL456 Blender is very popular for pureeing, chopping and mixing. Dough kneading: Nutri Ninja Pro BL456 Blender is not designed to knead the dough. It has a 900-watt motor that making this blender fifty percent more powerful and efficient than another blender. This additional horsepower makes the blender to intensely capable when it comes to processing the food. The fresh fruits and fresh vegetables that will make up the main ingredients of our smoothies. The Blender comes with two stainless steel Extractor blades that can shred, grind, chop and blend ingredients within minutes. The blades of blender are so strong enough too messed up the seeds, stems and tough outer rind of fruits. It also so strong for vegetables and leafy greens. Eliminating the surface is not essential before they go into the blender, and can even mill nuts, seeds, and whole coffee beans. The cups of blender’s that come with it are made of a non-toxic and high impact plastic. This blender is also BPA free. This blender is dishwasher safe but not hot water safe. The cups capacity makes larger models better for larger drinks and meals. The small size cup is not suitable for huge consumption or family purpose. This model can be quite loud. The blender needs to be cooled down for 30 minutes after every long usage. The blender is not suitable for hot ingredients also by its user manual. It has no any automated features such as the time setting, pressure control, auto shut off etc. 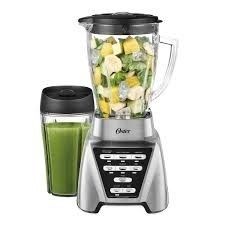 The Bl456 Blender comes with only a one year warranty. If we repair or replace any parts then it will be subject to extra charges. It also does not have friendly customer service. The Blender costs are less than $100. It’s a very reasonable price product comparatively for its features. Although, the best price for this model seems to be found most often on Amazon. Because many sellers can offer these units via Amazon. It may be either new or only slightly used, the pricing can be more competitive than a brick and mortar outlet could offer and as with many products sold or fulfilled by Amazon, we may be able to get free shipping on the blender we choose to purchase. 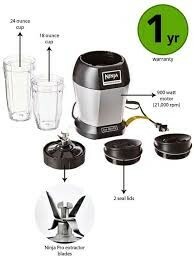 Where can we buy the Nutri Ninja Pro Bl456 Blender? Whether we’re in Canada, UK, and United States or any others country in the world, we’ll be able to find a local store or supermarket that sells the Nutri Ninja Pro Bl456 Blender. But if want convenience, we might try getting the Nutri Ninja at Amazon. Because when we purchase the Blender on Amazon, we’ll take advantage of Amazon’s world-class E-Commerce experience. 1. Is Nutri Ninja Pro BL456 Blender are good? Answer: Yes, they are. You know, what makes this model and particular brand interesting is that it can do a lot of things that the others blender can’t do. It has 900 watts of power. That means this blender can crush ice or hard fruits easily. It has also reusable cups with lids. On the other hand, it is portable especially when we want to bring our drinks while going to work or during our exercise. 2. What is this Nutri Ninja Pro Bl456 Blender? Is it Blender or Juicer? Answer: They are Blender and juicer both. But it does not perform the separation of solid and liquid part of fruits like another juicer. They contain the fiber from fruits and vegetables as usual. 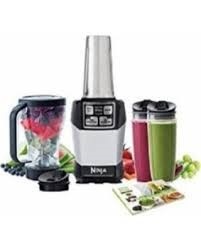 The Nutri Ninja Pro BL456 is the personal countertop blender model from the Shark Ninja brands. 3. Is this Nutri Ninja Pro BL456 a competitor with another high definition blender? Answer: I have found out that if we compare it with the other high-end blenders like the Vitamix or the Blendtec blenders, the Nutri Ninja Pro BL456 Blender can’t compete, but with Nutri-bullet then it can. The high-end blenders can make “hot soups” with its high-speed performance. But of course, these professional blenders would cost more. So if we want the highest quality and most expensive blenders, we have to go with a Vitamix or the Blendtec blenders. But if we’re looking for a blender that’s practical yet powerful and easy enough to use, then this Nutri ninja Pro BL456 is a great option. There are huge great ratings and feedback of this product on Amazon or other marketing sites. 4. Is this Nutri Ninja Pro BL456 a Nutri-bullet competitor? Answer: Yes, they are. And if we compare the Nutri Ninja PRO BL456 with the Nutri-bullet PRO 900, we’ll find that they have the same power (900 watts), but the Nutri Ninja Pro BL456 would still cost much cheaper than the Nutri-bullet PRO 900. This Blender is also doing versatile work. All we know the Nutri-bullet PRO 900 is the more popular brand in the world. But I’m concerned with some of the issues that other people have found out with the Nutri-bullet PRO 900. Some user has reported that the blades of the Nutri-bullet PRO 900 had some manufacturing defects. One the others said that the Nutri-bullet PRO 900 can’t crush ice or hard things really well. 5. Is it dishwasher safe? Answer: The answer is Yes and No. Because not all the parts of the Nutri Ninja Pro Bl456 blender is dishwasher safe or even washable. The power base and its electrical components should obviously never be clean in water. We also have to make sure that we’ve always unplugged the power base before we clean it. But the cups and lids are dishwasher safe. For the extractor blades, just manually wash it with mild soap and water then let it air-dry for a few minutes. Normally, anyone would think Nutri Ninja Pro BL456 to be expensive and may be out of reach. But a majority of the personal blender is built to handle a quick and simple task. One the other hand Nutri Ninja Pro BL456 blender is a versatile machine. So I think, it is the Best Blender for personal use.